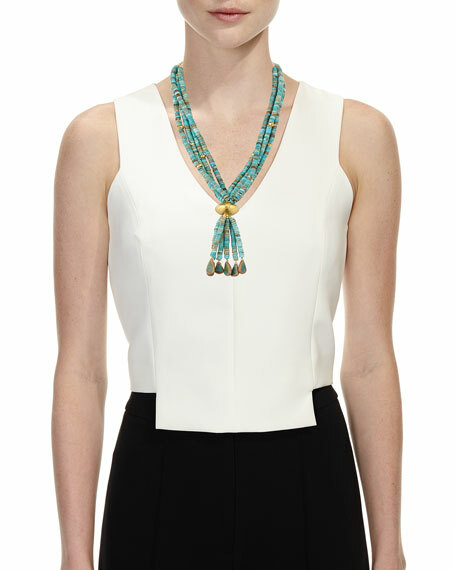 Devon Leigh multi-strand turquoise necklace. Beaded strands and tassel with dangles. 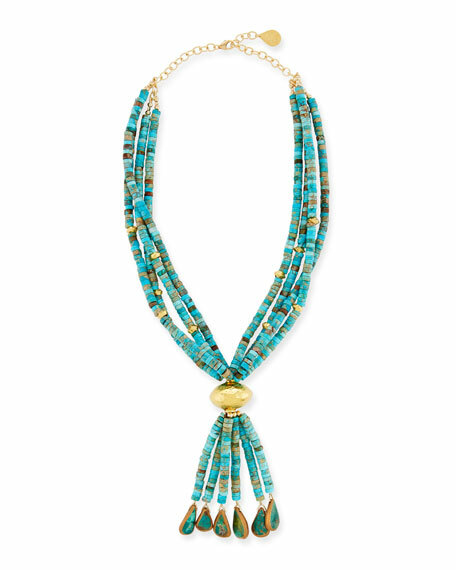 Multihued turquoise and golden beads. Six teardrop dangles in imperial jasper.